These are not-so-easy, but also not-too-hard questions for you to try to answer and test your electrician skills. 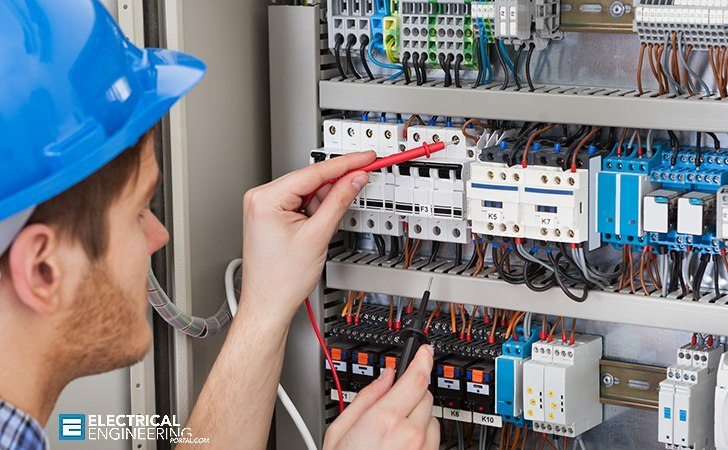 Whether you are a novice in a field of electrical engineering or a professional electrician, these questions will move your brain cells for sure! To check your results, take a peek for answers at the bottom of article. Building “A” is supplied with 120/240 volt single-phase power from building “B” on the same property. “B” is supplied from a three-wire with two ungrounded conductors and one neutral without any metallic water pipe or other metal equipment connections to the building or equipment ground fault protection installed. A surge arrestor for a 480 volt electrical system requires a connecting conductor that is #14 copper or larger. A retail store has 3000 square feet and 30 feet of show window. 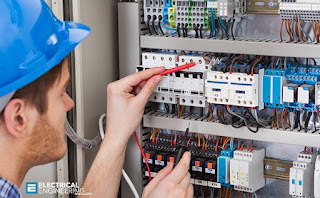 The service is a 120/240 volt single phase 3-wire service, and there is an actual connected lighting load of 8500 VA.
A project requires the installation of twelve 1.4 ampere, 120 volt, fluorescent lights fixtures on two 20 amp branch circuits, as well as three 120 volt, 5.6 ampere electric fans on individual circuits in a building with a 120/240 single phase three-wire electric service. A – Reference Sections [210.11(A)] and [220.423(A)] for minimum load requirements. Divide the load by 120 volts, then divide this value into the circuits to determine the number of circuits required. C – Reference Table [220.3(A)] to see that 3 VA is required for every square feet of living area. 2400 square feet × 3 VA = 7200 VA. The small appliance load in Section [220.11(C)(2)] is 1500 VA and comes to 2 small appliance loads. Section [210.11(C)(2)] requires 1500 VA for a dwelling laundry circuit. 7200 + 3000 + 1500 = 11700 VA.
C – The first step is to calculate how much current will be going to the capacitor bank once it is energized, which is the same formula you would use to calculate the full load current of a transformer, except you need to use kVAR’s instead of kVA. Ccapacitor = 92kVAR × 1000 / 1.73(3 phase) × 480v = 110.8 ampsNext you need to find the minimum ampere rating of the conductors in the capacitor bank using the requirement in Section [460.8(A)], and you will find that the ampacity cannot be more than 135% (which is 1.35). Multiply the capacitor current of 110.8 × 1.35 = 149.58 rounded up to 150 amps. B – Reference [Section 220.17] lists a demand factor of 0.75 for four or more appliances.